Every spring I find myself on the hunt for a great pair of wedge sandals that will carry me through spring, summer and the start of fall. Last year I scored my favorite pair yet from Seychelles and it will surely be hard to find a pair that will top them. That being said, I'm in full on search mode and below are a few favorites. 1 // These were obviously very popular. Unless you have a teeny, tiny foot or an 11, you're out of luck. So sad but thought I'd include them on my favorites list. 2 // How comfortable do these look? 3 // I had to include a pair of Seychelles. I love the heels...no need to worry about rain. Major plus. 4 // Who can argue with a little bling? Not me! These are not only versatile but fancy too! 5 // For the price, you can't go wrong with these. Am I right? 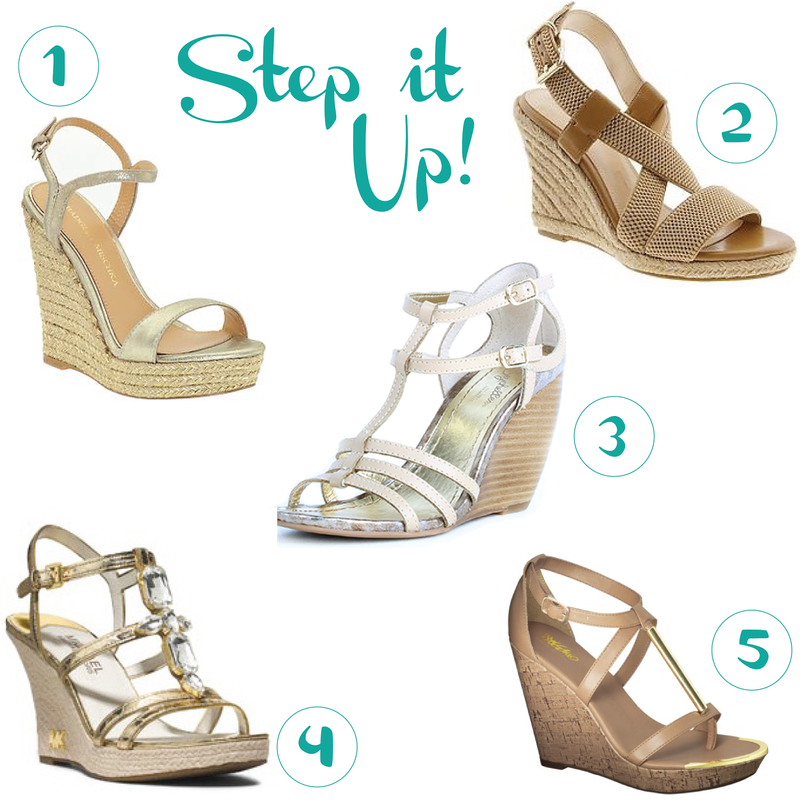 Where do you shop for wedges? Any favorites here? Have a great Wednesday, friends!